Casa Mila (1906-1912) is a building designed by the architect Antoni Gaudi and commissioned by Pere Milà and Roser Segimon. 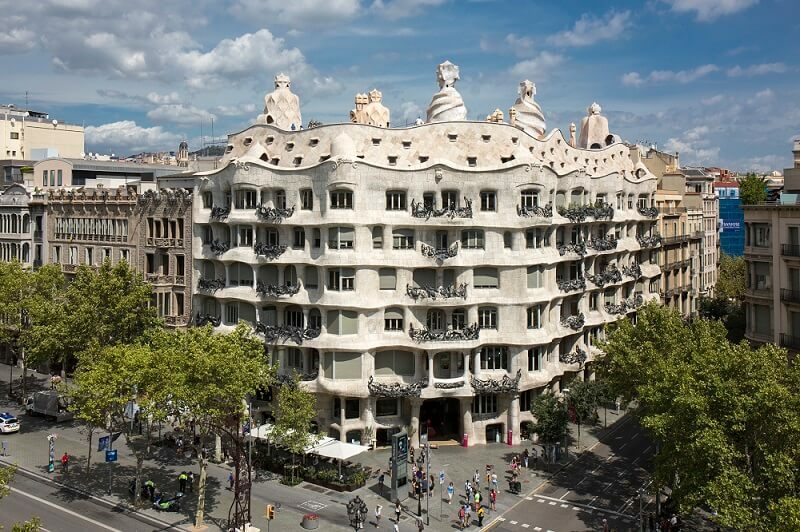 The name, ‘Casa Milà’ comes from the fact that it was the new home of the Milà family. The couple occupied the main floor and rented out the other apartments. 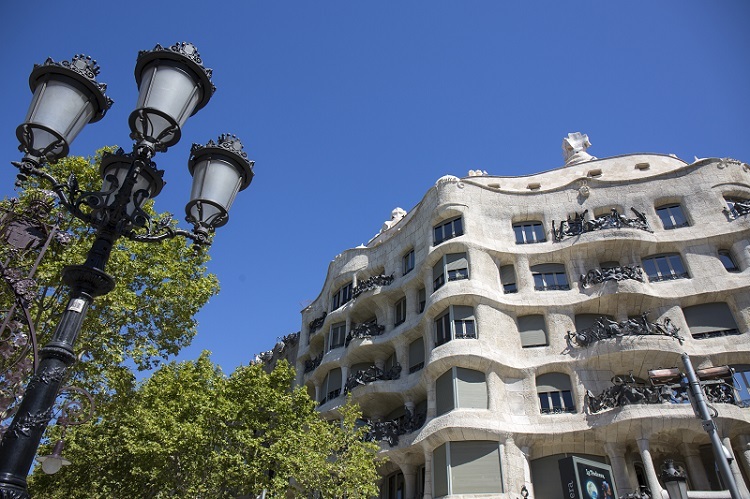 Casa Mila (1906-1912) is Antoni Gaudi’s most iconic work of civic architecture due to both its constructional and functional innovations, as well as its ornamental and decorative solutions. It is a total work of art. Known as La Pedrera (stone quarry) because it resembles an open quarry in appearance, the building features forms drawn from nature. It was Gaudi’s last work of civic architecture and represented a break with the conventions of his day.